What to do in Singapore ah? We’re sure that many of you might have asked this question at some point or another and wondered if Singapore is really THAT boring. Well, if you’re looking for something new and exciting, there are plenty of places to go in Singapore that offers a thrilling experience. From breezing your way through a ninja warrior obstacle course to swimming with sharks, here are 10 activities you must check out if you’re a thrill seeker! Does the thought of swimming in waters full of sharks make you shiver? Fear not, because sharks are actually not as violent as we portray them to be. At the Ultimate Marine Encounter: Shark Dive at S.E.A. Aquarium, you’ll get a chance to dive with over 100 sharks from 12 different species. 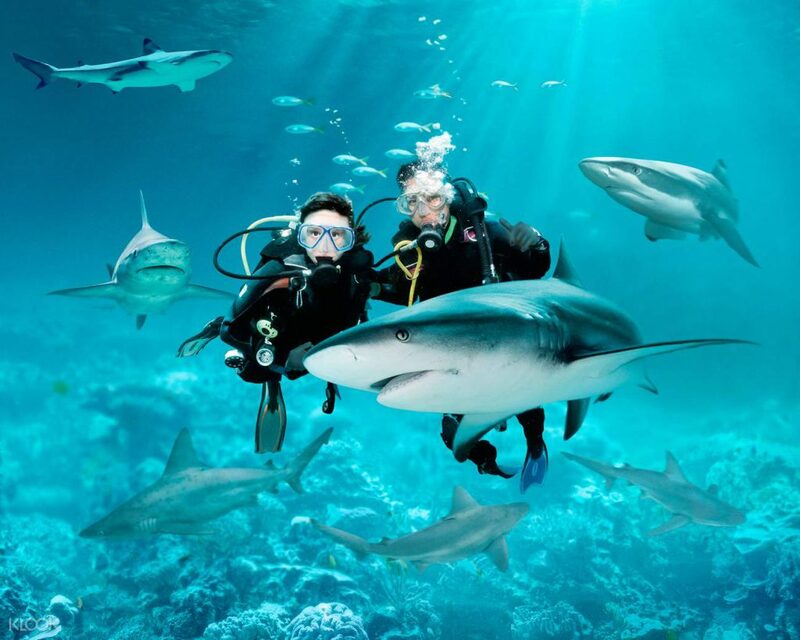 The Shark Dive is great for adventurous thrill seekers with a passion for sharks and marine animals. From swimming with sharks to strolling under the water or even an open ocean life, you’ll get to experience the thrill of interacting with these predators in a safe environment. In this 30-minute programme, you’ll dive into their Shark Seas Habitat for the rare opportunity to get up close and personal with over 100 sharks across 12 different species, including the endangered scalloped hammerhead shark, silvertip shark and sandbar shark. However, this activity requires a current SCUBA diving certification from a nationality or internationally recognized organization. So if you are an active diver, grab your wetsuits and channel your inner Steve Irwin. We’re not blessed with natural waves for surfing unlike Australia and Bali, but Wavehouse Sentosa lets you experience what it’s like to surf the waves. For beginners, the Double FlowRider lets you learn the basics of flowboarding together with a friend. 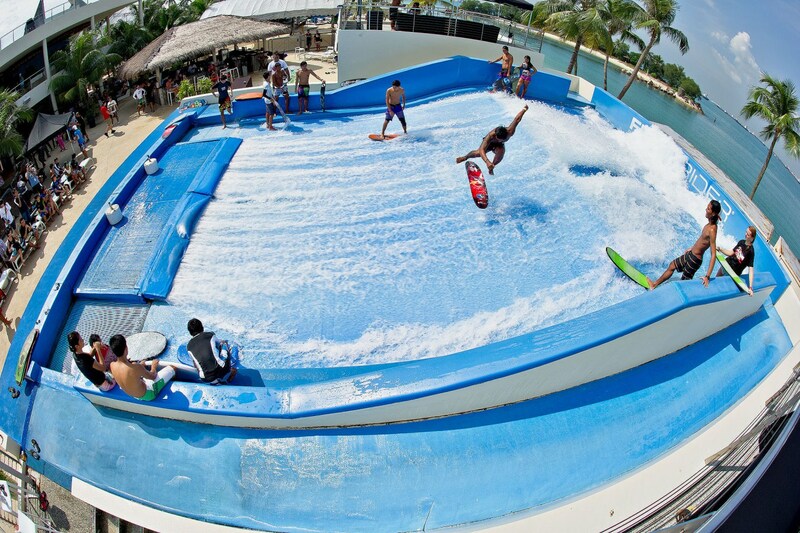 It’s also the more gentler of the two waves available at Wave House Sentosa, and is the first step to your exhilarating flowboarding experience. Even if you have never tried flowriding, don’t worry, there are instructors to guide you. And for the more experienced surfers, the FlowBarrel creates endless barrelling waves that can rival those from international surf meccas. Set on Siloso Beach at Sentosa, it’s also a great place to chill with drinks as you soak up the sun! Ola Beach Club is home to Asia’s first and only water-propelled JetPack thrill ride. These are water-propelled jetpacks that can elevate you up to 30 feet in the air. Basically, you’re flying thanks to controlled water pressure blasting you into the air. The best part is you don’t need prior experience for this sport. So, strap in, engage the throttle, and up, up, and away you go! You’ve watched those warrior ninjas tackle this course from your living room, now try it for yourself. 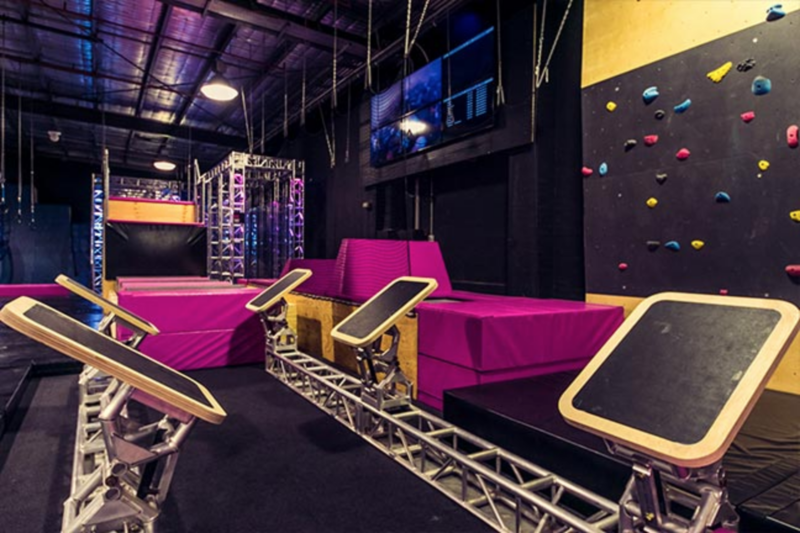 The X-Park at Bounce is Asia’s first and only indoor adventure challenge course combining elements of climbing, jumping & free-running before zipping on the aerial runway to the finish line. The X-Park may be a tad bit smaller than the original to cater to children but it’ll still give you a good workout if you run through the course at full speed. And it’s quite the test of agility and balance, so don’t go writing this off as child’s play just yet. Give it your best as you battle to be the last Warrior standing. Maybe we’ll see you on Mt. Midoriyama. For many of us, the last time we’ve gone on a high elements course probably dates back to our primary/secondary school camps. If you think obstacle courses are only meant for kids, think again. Forest Adventure is back at Bedok Reservoir Park with an impressive new trail. Following a six-month overhaul, Singapore’s first and only treetop course is back and 40 per cent larger than before. With 69 crossings and six zip lines, it’s time to gear yourself up for the ultimate adventure. The 2.5 hours tree top Grand Course is perfect for adults as you attempt to cross wobbly bridges in mid-air and Tarzan-swing from tree to tree! Who says you need a driving license to get behind the wheel? 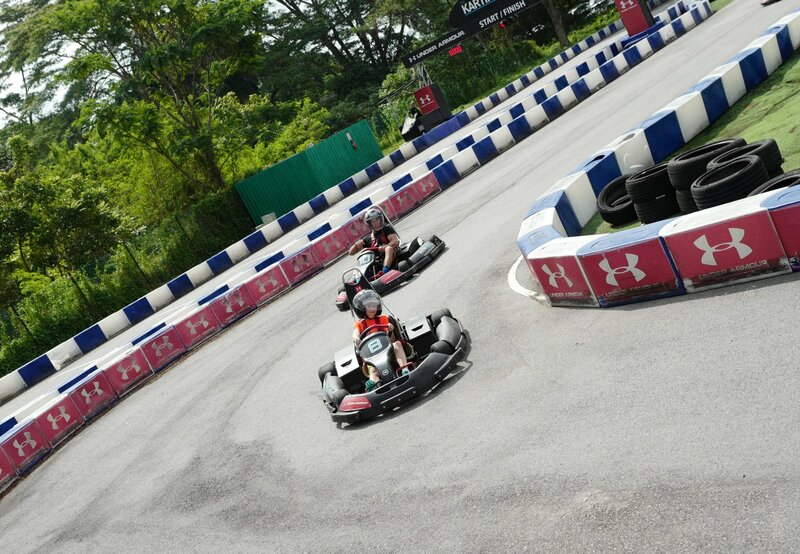 Channel your inner Lewis Hamilton and race your friends at The Karting Arena where there’s no pesky red lights to stop you. The 500m track at The Karting Arena has nine turns, consisting of sweeping corners, a hairpin and a chicane (bends intended to slow drivers down). The friendly competition, shrieks of excitement and need for speed – everyone is almost guaranteed to have a ball of fun. 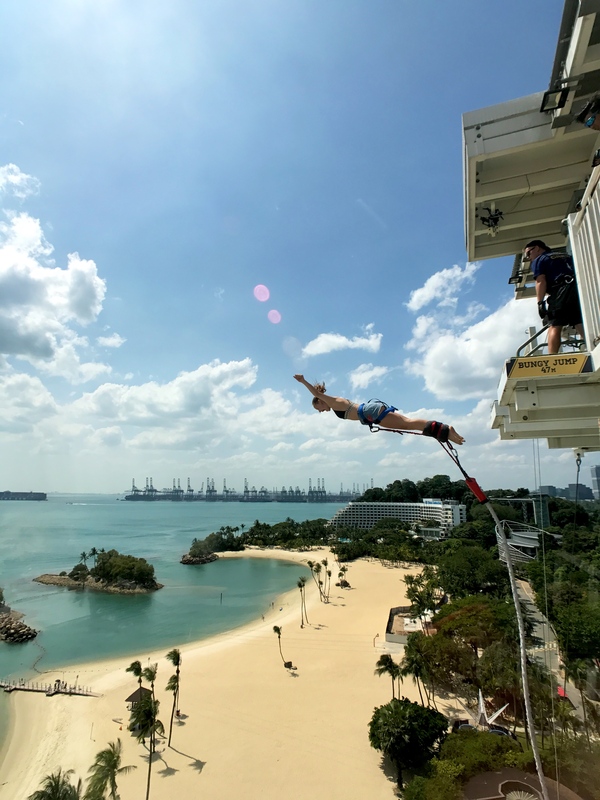 AJ Hackett houses Singapore’s first and only bungy tower, standing 50m above the ground on Sentosa’s Siloso Beach. There are 3 activities for you to choose from to get your adrenaline pumping. Drop and swoop on the Giant Swing with your family members or test your will and conquer your acrophobia on the 47m Bungy Jump. The site also features the Skybridge, a 40m walkway with see-through sections. On it, is the Paulaner Sundowner Deck, which has the best sunset views in Siloso. For those who prefer not to tempt fate, food and beverages are served al fresco, which is open daily, from 11am onwards. Siloso’s new landmark is also the perfect spot to grab a cold one by the beach! If you’ve always wanted to try your hands at kayaking, canoeing or pedal boating, here’s your chance to do so. Enter our very own Water Sports Centre. 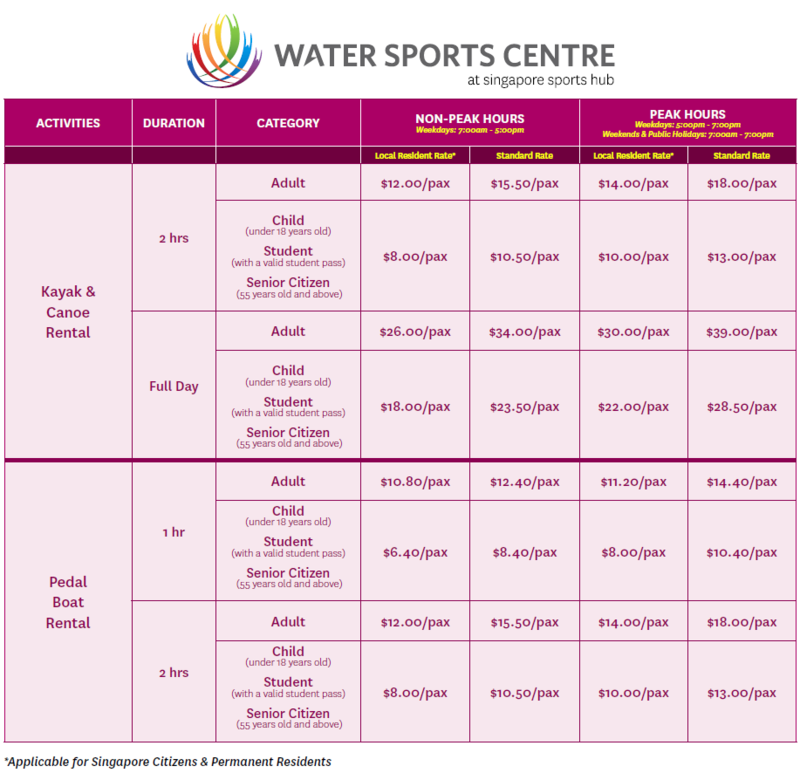 Catered for public and community use as well as for national athlete training, the Water Sports Centre offers a variety of canoes, kayaks and pedal boats for rent. Pedal boats are ideal for beginners and children, while experienced kayakers and canoers can challenge the 500m long Regatta course. Singapore Wake Park is the country’s only cable-ski park built in a lagoon at Singapore East Coast Park. Promising all level of fun and challenges, the park features three cable-systems. 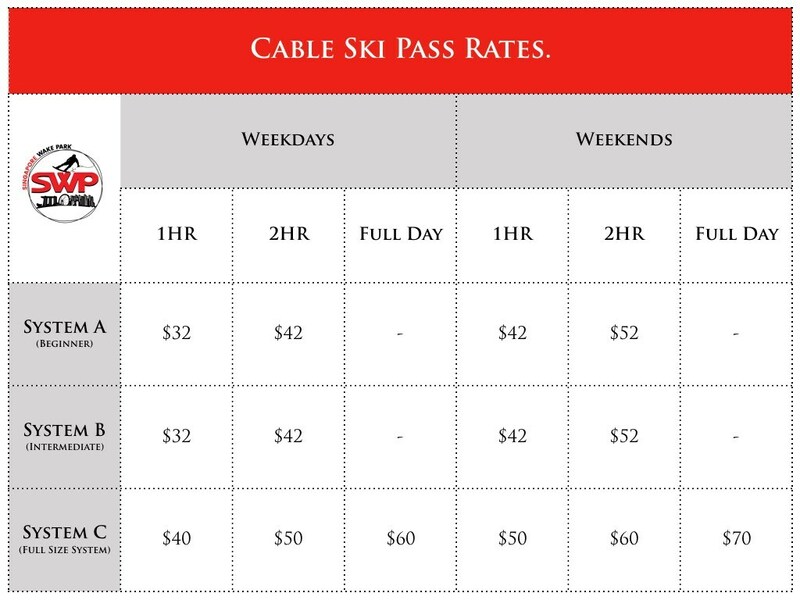 One full sized cable system for the experienced riders and two straight-line system for the complete novice and intermediate riders from as young as six years old. Instead of the traditional motorboat tow system, you hang on to to a handle suspended from a motorised cable high up in the air; they can control the speed and you can do huge loops around the lagoon – they even have an obstacle course! Powerful floodlights have been calibrated carefully to illuminate the Park even at night, which means you get to cable-ski after work. Who says there’s nothing to do in Singapore at night? This is great for those who do not want to get a suntan too. 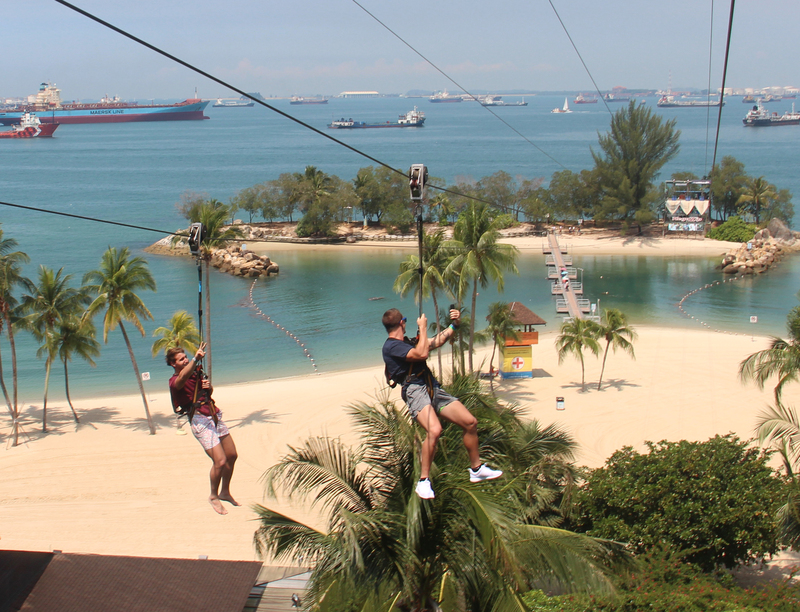 Mega Adventure Park at Sentosa is home to the MegaZip, MegaClimb, MegaBounce, and MegaJump. At 75m high and 450m long, the MegaZip is the first 3-wire zipline that takes you from the jungle canopy of Imbiah Hill to Siloso Beach at speeds of 60kph. The MegaJump lets you replicate the experience of a free fall parachute jump with a 15m drop with a stunning view of ocean, jungle and white sandy beaches. 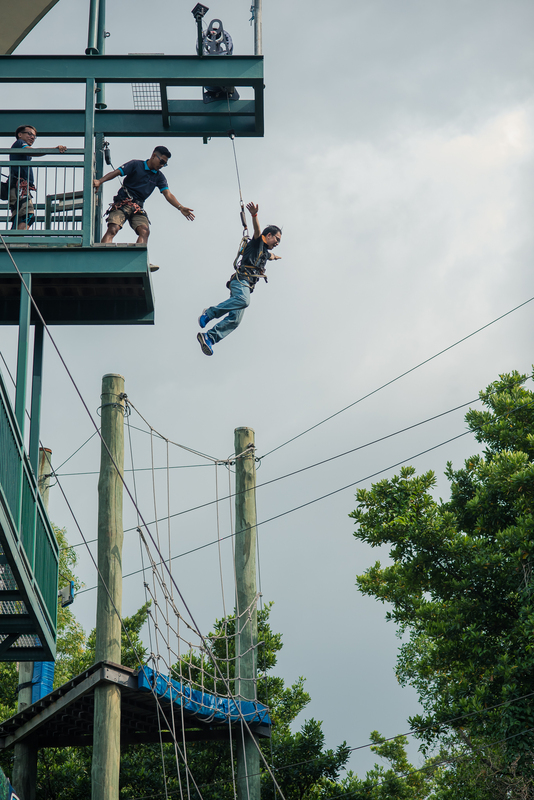 If you’re looking for some exciting aerial thrills and car rides, there can be no better place for you than Mega Adventure Park.